As is the norm whenever news of the allegations come up, reports that the singer himself suffered abuse at the hands of a family member have again surfaced. While R. Kelly himself has before hinted that he was molested as a child by a very close family member, who exactly did it has never been identified. Until now. The singer’s younger brother Carey Kelly was on the “unWine with Tasha K” radio show where he revealed that they were both, when he and the singer were just 6 and 10 years old respectively, molested by their older sister Theresa Kelly. 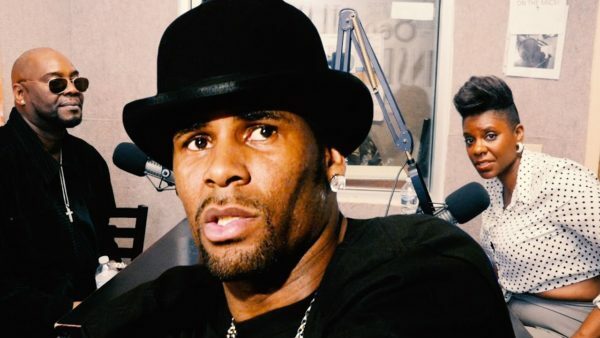 The post R. Kelly’s Brother reveals they were both Molested by their Older Sister | WATCH appeared first on BellaNaija – Nigeria breaking & top news to the World 24/7. Read Today.